Moving to a new home or simply looking for ways to make your current home safer? Now is a great time to update your smoke detectors. While smoke detectors might not be the flashiest purchase you’ve made recently, we’re not being dramatic when we say that they can literally mean the difference between life and death. Keep reading for help finding the best smoke alarm for your family. If you don’t have the budget for a monitored home security system, a smart smoke alarm is the next best thing. You’ll still get notifications on your mobile device if you aren’t home to hear the alarm go off, which means you can call for help and make sure someone gets to your house as quickly as possible. 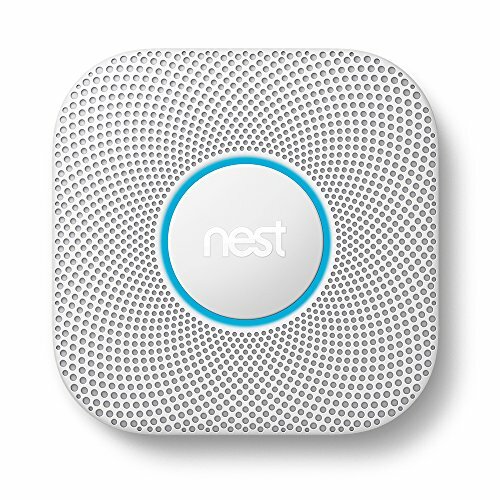 Our favorite smart smoke detector is the Nest Protect because it integrates with other Nest devices, gives you mobile access, and includes carbon monoxide monitoring. Not all fires are the same—some start slow and produce lots of dangerous smoke, while others get hot very fast and spread quickly without creating as much smoke as you may expect. 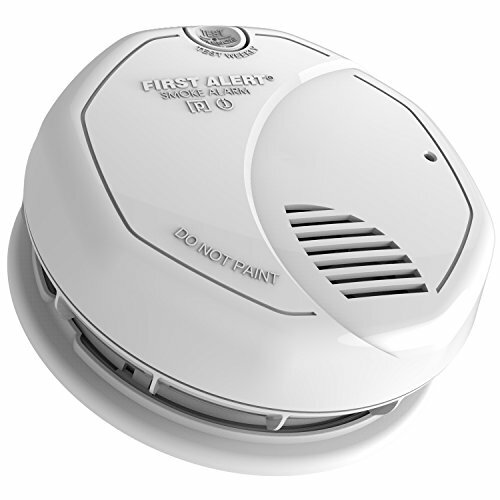 This First Alert smoke alarm has a dual-sensor design so it will quickly detect both slow-burning fires and fast-moving fires. And with a battery that lasts for 10 years, you won’t have to worry about whether or not the batteries will run out every few months. When your smoke detector is part of your monitored security system, you never have to worry about missing an alarm. If your smoke detector goes off while you’re hiking in the mountains without cell service or while you’re in the middle of a crucial presentation to project stakeholders, your security provider will still be there to send for help in an emergency—even if you didn’t see a notification on your phone. Many security companies offer smoke detectors, but Vivint is our top pick because the alarm connects with other home automation and security devices that come in handy whether you’re going about your normal day or dealing with a real crisis. Integration is a big deal—at first it might just sound convenient, but in an emergency, integrated devices can actually increase your safety. For example, if your Vivint smoke alarm goes off, the connected thermostat will shut off air flow to slow the spread of the fire and the smart locks will automatically unlock so you can get your family out of the house as fast as possible. The biggest benefit of the Vivint smoke detector is that it can be professionally monitored as part of your security system. If you aren’t home to hear the alarm or if you aren’t somewhere that you can get a mobile notification, someone will still be watching over your home and ready to send help. Most homes need multiple smoke alarms—not just one. And because buying four or five smoke detectors can add up, sometimes price becomes the deciding factor. If your budget is too tight for one of the smoke alarms listed above, that’s okay. After all, a basic smoke detector is dramatically better than no smoke detector at all. 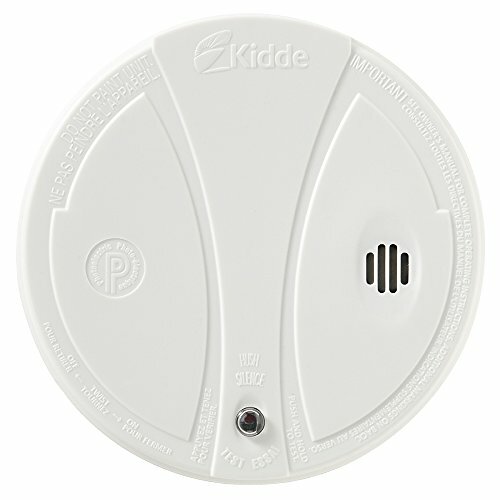 When price is an issue, we recommend the Kidde P9050 smoke alarm. Kidde has a strong reputation and offers reliable detectors you can count on to protect your home. Plus, since this one is so affordable, you’ll be able to get as many as you need to protect your entire home. Should I get a hard-wired smoke detector or a battery-powered smoke detector? In most cases we recommend choosing a wired smoke detector or a smoke detector with an extra-long battery life. 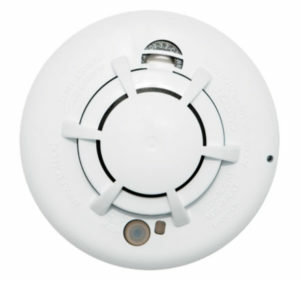 Hard-wired smoke detectors are more reliable since you don’t have to worry about batteries dying. Plus, most wired smoke alarms have battery backups, so they’ll still work during a power outage. However, battery-powered smoke detectors are much easier to install, so be honest with yourself—if easier installation is the difference between whether or not the smoke detectors will actually get placed in your home, battery-powered smoke detectors will work just fine. Where should I put smoke detectors? At bare minimum, you need at least one smoke detector and carbon monoxide alarm on every level of your home—basement, main living area, attic, etc. Ideally however, you should place a smoke detector in every bedroom and in hallways outside sleeping areas. Place smoke detectors about 10 feet away from appliances like ovens, clothes dryers, and dishwashers to reduce false alarms. How often do I need to check the batteries? If you have AA batteries, AAA batteries, or a 9-volt battery in your smoke alarm, you should check the batteries at least every six months. Set a calendar reminder to check your smoke detectors and carbon monoxide alarms once a month so you’ll always know you can count on them in an emergency. Does it matter which type of sensor my smoke detector has? There are two common types of sensors in smoke detectors: photoelectric sensors and ionization sensors. Photoelectric sensors are best for detecting smoldering fires that produce lots of smoke. Ionization sensors are best for detecting faster fires with lots of flames and less smoke. Most smoke alarms use photoelectric sensors because they’re best for alerting you to dangerous levels of smoke, even if there isn’t a large fire. What do you look for in a smoke detector? Share your advice in the comment section below!